Studded with whole cloves, the ham was perfumed with an earthy flavour that penetrated right through the centre. 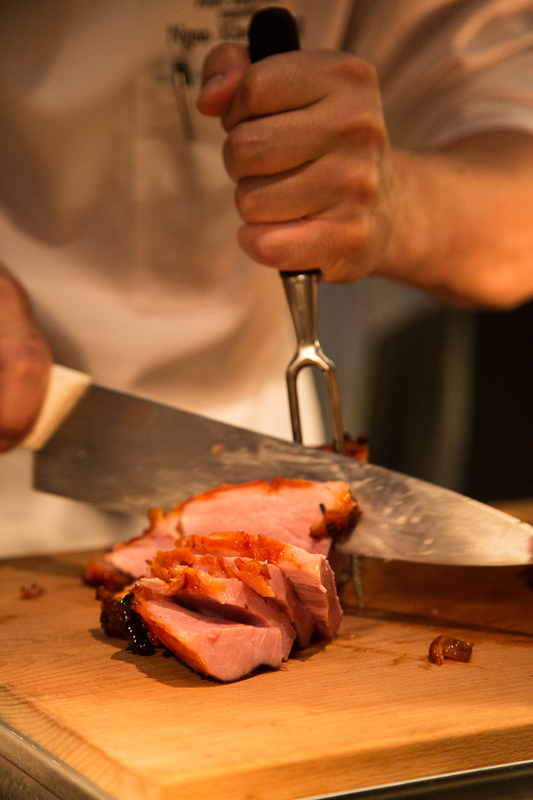 A combination of sweet, smoky and robust flavours, as well as a succulence that was truly hard to get over, the ham was one of the highlights for us. As we all know, ‘tis the season to have turkey’, so of course you’ll be able to find this time-honoured Christmas dish in Edge’s festive feast. This year, their turkey will be roasted in the simple yet classic old bay seasoning which lets the natural flavour of the turkey shine through. The turkey was very flavourful and well seasoned. The bird had a nicely crispened up skin and the old bay seasoning certainly added a tasty, herbaceous touch to the dish. 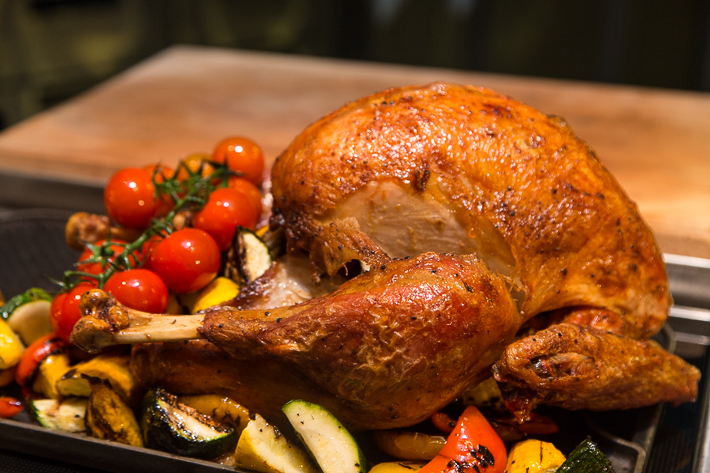 Served throughout the festive lunch and dinner buffet, we reckon that there is indeed no better way to celebrate Thanksgiving and Christmas than at Edge. A surefire hit among beef aficionados, Edge’s Oven-Roasted Mustard Angus Striploin impresses with both its sheer size and fat-to-tender-meat ratio. 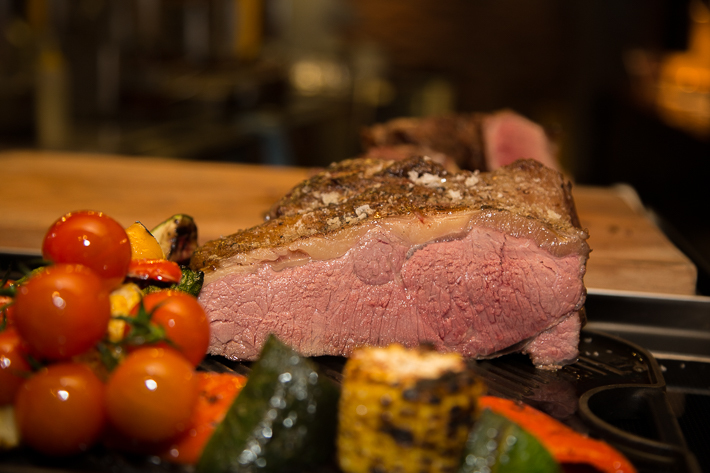 A prime cut of steak that is known to be well-marbled and tender, the restaurant serves it medium-rare and is firm about serving it at its best. Meaning, that it will only be sliced only upon an order being made. As expected, the meat was incredibly juicy and was oozing with umami due to the perfect marbling. 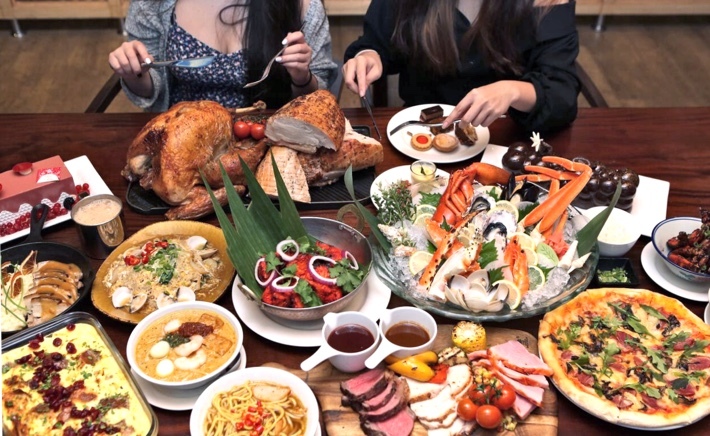 We understand that it is easy to get overambitious with these tempting yuletide delights, but be sure to save some space for the rest of their buffet spread as well! Where many would choose to start their feast at and also the station where seafood lovers will find themselves luxuriating in is Edge’s impressive line-up of fresh seafood on ice. Edge may not boast an extensive range of fresh seafood over ice, but what it does pride itself on is serving seafood of exceptional quality. Still, the options available leave little to fuss about, especially not with the likes of French oysters, prawns, mussels, Boston lobsters and more! Edge promises to present an engaging gastro-tainment dining experience and boy did they live up to it. 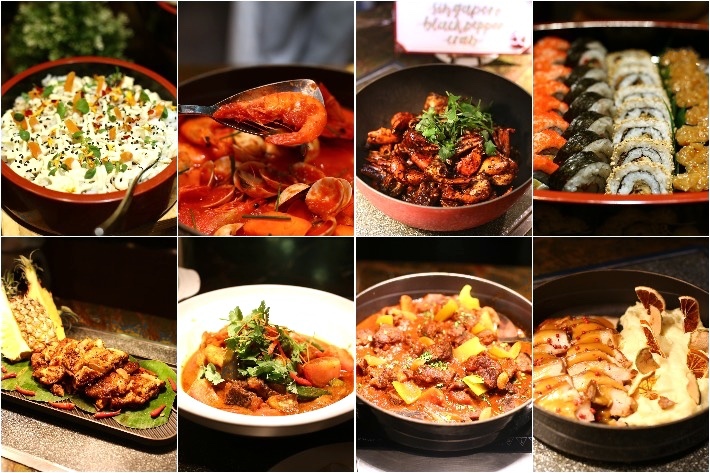 Encompassing 7 stunning live stations within their restaurants, they are surely set to impress diners—both old and new. Our only complaint is that we do not know where to start, but hey, that is one problem we’d gladly have. Out of all the cuisines here, we insist that you try the food from the Northern Indian station no matter how full you might already be. It is one of Edge’s most popular stations and they are well-loved for their curries, chutneys and tandoori offerings. Another station that stole the show for us was the Nyonya Laksa. Many stalls serve their broth watery, but we particularly loved how Edge unapologetically made their broth extremely thick, rich and intense. 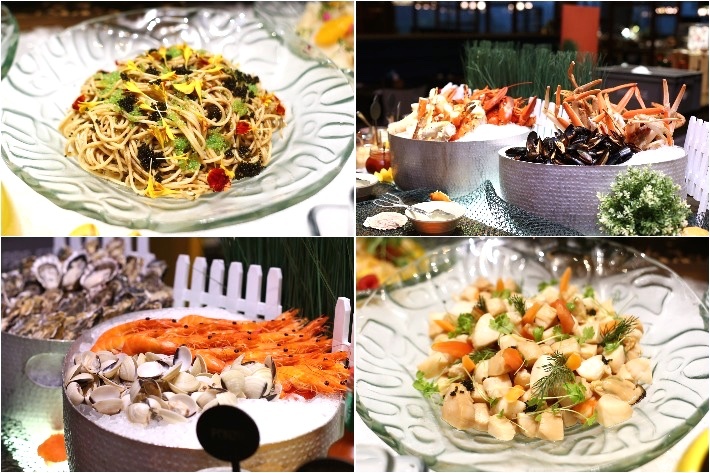 Besides their array of classic Christmas treats, indulge in a whole variety of seafood and meats that change every now and then to ensure freshness. Some of their highlights include the Baked Salmon with Leeks and Capes, Herbs Confit Duck Leg with Warm Lentil, Pan-Seared Red Snapper with Pancetta Cream and the Slow-Braised Orange Pork Belly with Apple Mash. If those aren’t what you fancy, the traditional Asian delights should do the deed of satisfying your cravings for comfort fare. 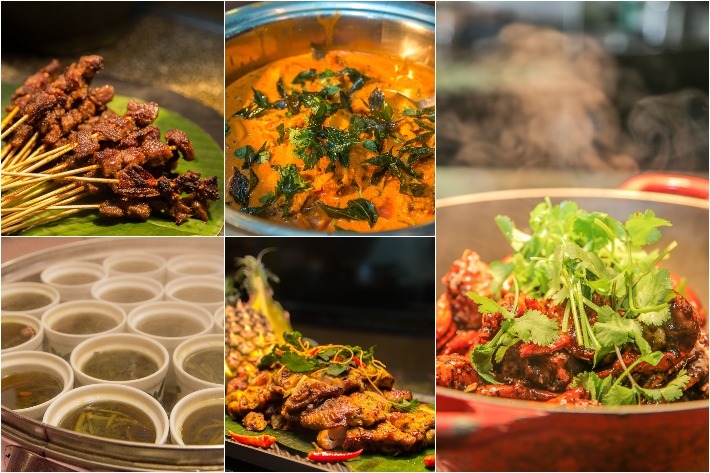 Besides going all-out to impress with their festive delights, Edge also pays a tribute to Asia’s dynamic flavours and caters to diverse palates and trust us when we say that these dishes are not ones to disappoint. One that we found ourselves heading back for seconds in no time was the Watercress with Red Dates and Pork Ribs Double-Boiled Soup. Boasting an extremely full-flavoured broth that can only be achieved after simmering for hours over, the fact that every bowl provides additional health benefits only serves as an extra reason to get another portion. 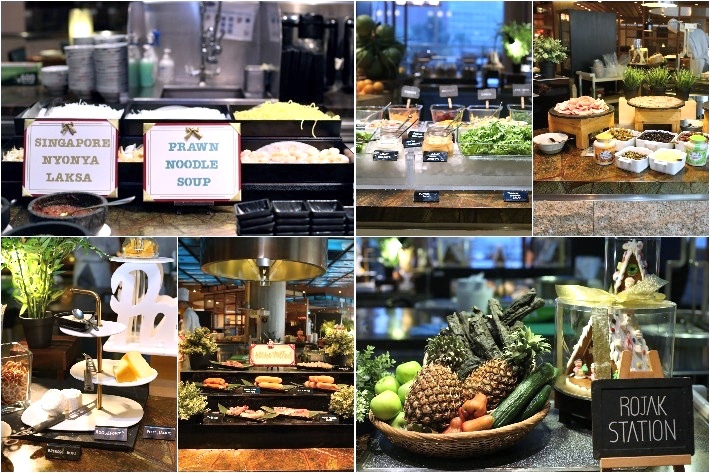 Do note that their Double-Boiled Soups are constantly on rotation and are only available during dinner buffets. We have finally come to our favourite part of their Christmas feast: the dessert theatre! Once again, Edge has done up their signature gingerbread house which is definitely a sight to behold. 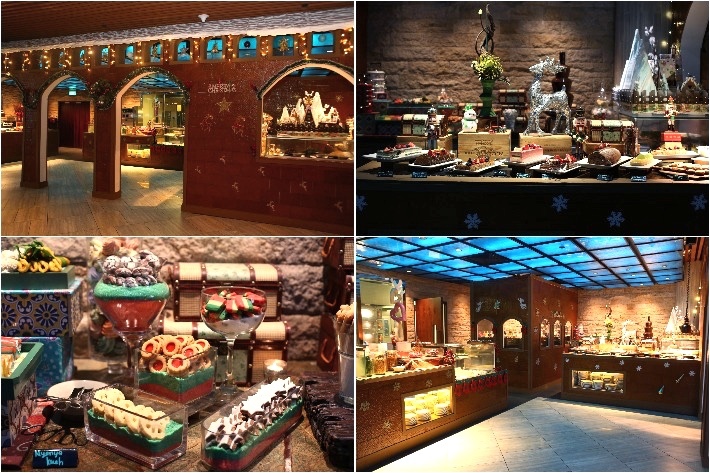 The entire setup oozes enchanting festive vibes and we can’t help but be blown away by the intricate details; from the carefully decorated exterior of the gingerbread house to the beautifully arranged dessert counter that is filled with a plethora of sweet treats. 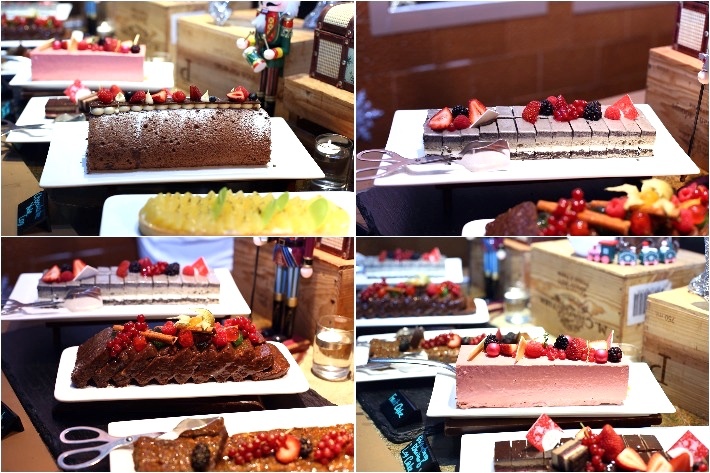 What first caught our eye was their dazzling display of Christmas cakes that were all prettily dolled up and decorated with colourful fruit and chocolates. They also had classic Christmas sweets such as Christmas Pudding and Panettone. And an all-time favourite item here is their soft, hand-made and gluten-free Nama chocolates that are available in dark rum, matcha and apricot. These creamy cubes of goodness are addictive and if we had a dark hole as a belly, we would go all out with them! With its cosy ambience, stunning interior and stellar food, Edge is definitely the place to be when celebrating the festive season with your loved ones. And come this Christmas season, make no mistake that the restaurant will exercise zero restraint in dishing out the best. Quote ‘ladyironchef’ upon making a reservation to enjoy 20% off Festive Lunch and Dinner Buffet from 19 November 2018 to 30 December 2018 (excluding eve of PH, PH and Sunday Champagne Brunches). – Prices quoted are subject to 10% service charge and prevailing Goods & Services tax, unless otherwise stated. This post is brought to you by Pan Pacific Singapore.